External Letterbox Vs. Front Door Integral Letterbox? There is compelling evidence that an external letterbox is preferable to a letter plate in the front door. Police and Insurance companies state that 80% of burglaries are through your front door, so does it follow that you need to stop using your front door letterboxes? ο Lock Manipulation: the art of opening your front door from within, using a wire and letting themselves in your front door. ο Car Theft: we all do it, walk in and place our keys on a table, shelf or key rack in reach of our front door. ο ID Theft: we go to work, the postman delivers our mail on to our welcome mat and the thieves help themselves during the 8 hours we are out. ο Arson Attacks: unfortunately, and we hear about it in the media too often, cowards like to pour accelerants through letter plates followed by a match, enough said! ο Thermal Co-efficiency: with the introduction of EPC ratings by the EU. Having a letterbox instead of a hole in your front door can help your rating. ο Noise Reduction: continued advances in reducing noise pollution are often negated when a hole is then cut into your front door. If you're looking for stylish cheap letterboxes, then check out our popular economy letterbox range, here at Postbox Shop. Our colourful collection are designed with security in mind, the majority manufactured from weather resistant materials, ensuring they are 100% rust proof, ideal for coastal locations i.e. stainless steel letterbox. Wall fixtures are provided, with some of our cheap letterbox models, such as the Roma Cast Aluminium including a fixing kit too, all at amazing prices. A designated Perspex nameplate will display your house name or number clearly, both traditional intricate designs for period properties and modern sleek stainless steel letterbox designs for new builds are available, to satisfy everyone’s requirements. 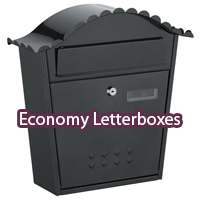 Please examine our economy letterbox range…cheap letterboxes, but these are high quality products!!! 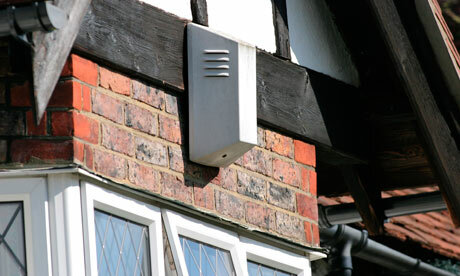 If you have any questions in regards to our cheap letterbox range, please do not hesitate to contact us today.